Shoso's Japanese aesthetics course has started at RMIT university. 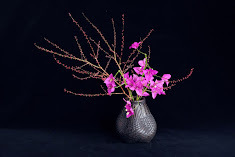 Our focus has been Ikebana for the first 3 weeks. We will be making abstruct sculptures from next week.